We have a great position on The Plains in Totnes. So we get to see a Totnes we love every day. We know that people of the town and the surrounding area love Totnes too. So we have decided to run a #LoveTotnes competition. Post pictures that show why you love Totnes on Twitter with #LoveTotnes. From all the pictures, we will judge the best one and award that person a free colour, cut and finish! (And yes – you can give the prize to your mum, sister, friend if you win). We will announce the #LoveTotnes image on 14th February – what day could be better? There are no restrictions on what you post other than you keep it decent and you respect copyright laws and ethics. So get clicking and creating – why not take a photo on your phone on your way back through Totnes after your next hair appointment? Good luck and happy #LoveTotnes! When people talk to us about aging and hair it sometimes ends up with us having radically different views from the customer. On the one hand our colour treatments can provide a depth, tone and shine solution to dull coloured or greying hair, and on the other, trust me, it’s a much deeper conundrum. Some hair looks best when it is naturally grey or silver and can be subtly enriched with a good cut and specialist products. 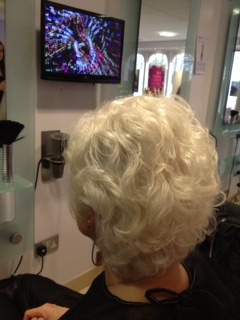 However customers with grey hair often want to use “colour” as a short term solution. Our feeling is that the short term is not sustainable. A long term maintenance plan can be a relief. A positive consultation at every appointment will give you a chance to relax. Remember, we will take the edge off your worries about your hair colour. We will achieve with you your goal of looking good and feeling renewed for the long-term. Professional services, in a relaxed environment. With our New Year/New Approach we want to refresh your thinking about colour with a new product and concept. Wella Illumina colour treatments can give you 100 % coverage for grey hair along with the added bonus of enhancing a more natural look to give it shine and colour luminosity. These new colour treatments provide grey or silver hair with a range of colour that has reflection and depth never before possible with the development of this very new product. New Year/New Approach – Renewal can mean finding a little space for ourselves. Some people come to the salon in January filled with new plans and projects. But it’s also nice that people come to us for a bit of R & R. To find a sense of space in all the new year activities. Perhaps just to switch off – it’s your ‘me-time’! New Year/New Approach – Renewal can mean investing in ourselves. This year myself and others in the team will be travelling to Nottingham for some extra special technical training. It is important that we grow as stylists and colourists, at whatever point in our careers we may be. So for us the new year is also a time to plan for an amazing year in the salon. We want to keep it alive and inspiring for you, ourselves and each other is our goal. So we’d love you to tell us about your new year/new approach and renewal. Or jot a few lines below. 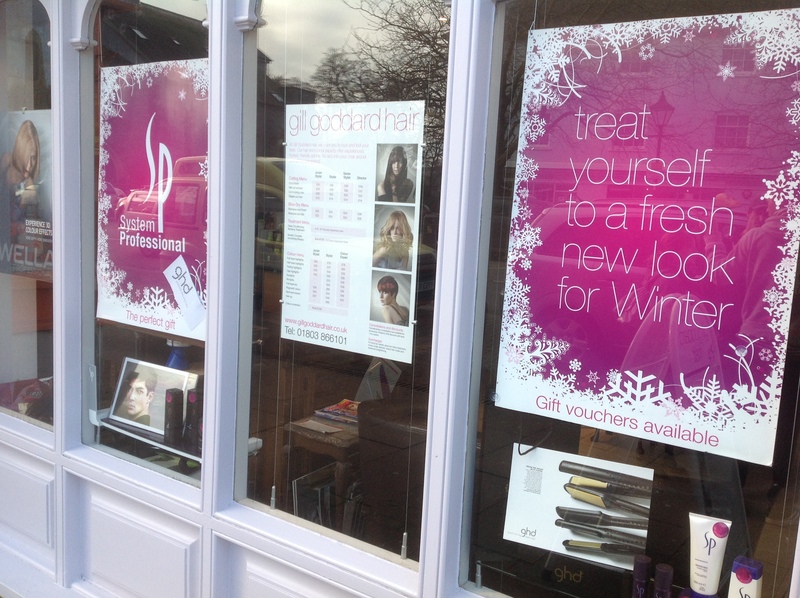 We are on Twitter too if you go there (@GillGoddardHair) and Facebook. So keep in touch!